I have spent, almost, the last ten years of my life participating in theological education in some matter or another. Most of that time has been as a student, however, some of that has been teaching deep dive Sunday School classes on 1st Timothy and Isaiah or laboring as a pastor or working to boil down high theological ideas for little children. I have learned a lot in the classroom, whether it be studying Systematic Theology or the Biblical Languages or Historical Theology, but I have learned infinitely more by taking the time to boil down the full extent my education into answers for the questions people are asking me. For example, if I am pastoring a church in a small farming community, what does scripture have to say to farmer who is afraid of losing his farm or who is struggling with suicide. Or to a teen who has lost one or both parents to the opiate crisis. How do I minister to the everyday people in my everyday context? If I can answer the question of Authorship in Genesis am I aiding the people in my pews? Likely not. A brother of mine here at the seminary laments the fact that he is being taught to answer American questions when American questions are not the same questions being asked in his native Uganda. It would be easy to point out that the questions we are being taught to answer here are 20-40 years old and not the ones being asked by the people in the pew. The Librarian here at GCTS had an interesting observation, that when the seminary was founded it was designed to train pastors to compete with the secular ideologies invading the mainline churches. Now that most of us are headed into conferences or fringe denominations (which as a whole are larger than the mainline denominations) perhaps it is time to rethink the questions we are asking, even update them. The current deficiency of theological education is this…that we are leaving these walls with no knowledge of the actual state of the church or the state of the people in the pews. That we are being trained to answer questions that are irrelevant to the generation we are going to be ministering too and have no bearing on the faith of those in the pews. As biblical literacy rises and the people in the pews continue to conform themselves to the Gospel in this time of reformation we are currently experiencing it is a detriment to our seminaries not to ask the proper questions, not to engage, not to change. Especially given the negative view of the current state of the church by professors who rarely engage outside their academic circles and most of whom have never served as pastors or even lay leaders, or at least have not done so since receiving academic postings. To do this, we have to be trained to ask the questions that the people we will be ministering too will be asking. We also have to learn the questions that the generations in our pews will be asking. For Millennials, we are told, that question is “What is real” or “What is Authentic?” For the coming generation they are speculating the question will be “What is beauty?” IF we as a church cannot answer these questions both in word and form then we will continue to lose generation after generation and the church will start to do what many here think it is already doing….shrink. (By the way, Tim Keller says it is not). I remember sitting in a meeting when our Church began looking for a new pastor. They Elders got together with their care groups and a member of the Search Committee to get input from the congregation on what to look for in a new pastor. At one point an older member of the congregation suggested that young people wanted a church with lots of lights and fog machines and a big worship band like the one his son attended. This horrified the Millennials in the room because we came to the church because the worship was genuine and authentic and a part of the everyday life of the Church. The relationships we had all formed were the same, authentic and lifegiving. At this church, as it is quickly becoming the norm in most churches, the Gospel was lived and Christian Faith was a daily, authentic thing. We were accepted and felt warmly loved and encouraged there and also felt challenged to be real concerning our faith and relationships. Yet, when I sit in the classroom, what I hear from my professors is most often the opposite of the questions I am receiving from my peers and from church members. The view of my generation is negative, the questions being asked is: “how do we deal with these millennials who are leaving the church.” Coincidently, most of my peers have a very negative view of the church and are not prepared to enter into a much more positive system then what we are taught we are going into. Interesting how secular sociologists have noticed the changes and those training the pastors day in and day out have not. Do not get me wrong, learning about the authorship of Genesis is important, but only so. Learning Hebrew and Greek are important but we cannot make proficiency therein the bench mark of a theological education. In fact, the tools are so good now we should likely teach pastors how to use the tools instead of training them to have a super in-depth knowledge of the biblical language. That way we can focus on the questions facing us today, rather than spending two and a half hours parsing and only 20 minutes on the practical implications of the text. As it stands, pastors leaving our major seminaries, especially those which emphasize the languages, are better equipped to do academic scholarship than serve as Pastors. We are better trained to write systematic theologies than we are to write and preach sermons that will aid in the work of the spirit towards the total transformation and putting on of Christ then our congregations. We are trained to be scholars, not vessels. The church needs scholars, it even needs pastor scholars, but if those pastor scholars have not learned to actually do pastoral ministry but can form a polemic against JDEP (theory of authorship of Genesis) but cannot care for the spiritual needs of the farmer or the small town or the inner-city, then they are ineffective and should be removed from office. The fact is, right now we have some very pressing pastoral matters on our hands. From the dehumanization of people to the need for biblical righteousness, reconciliation and Justice. We also have to discuss technology and its effect on the family, the Opiate Crisis, the farmer suicide rate and much, much more. That does not include, nor is it limited to the questions that are being asked in global Christianity, as in, an African Student needs to learn to answer the questions being asked in his or her home country whether it be Uganda or Ethiopia. The same is true about the student from Portugal, from China, from South Korea and so on and so forth. This requires a much broader theological education than the one we currently have. We should not need a Institute for the Black Christian Experience because, as part of the general experience, we learn the history of Christianity in Africa and how it was affected by the Slave Trade, Colonialism and is still be affected by the modern missions movement. We should be reading authors and theologians from all corners of the world, learning to ask the questions that the global church is asking so we can help each other answer the individual questions we will be facing. Providing shared experience and resources and wisdom, as well as Exegesis so that we can come to a fuller understanding of this faith and not one that is stunted, as western Christianity is. For that to happen though we have to learn from people who are actively seeking to be up to date on the questions being asked. That means they have to completely engaged in the non-academic world, engaging not only authors and theologians from different backgrounds, but also actively engaging the people in the pews. Because at the end of the day we are less likely to debate the meaning of a Hebrew Word in the Hithpael than we are to engage a family that is afraid they are going to lose their house or a teen who has been the victim of Sexual Assault. If our theological seminaries are going to be partners with the global church, they have to be engaging with the global church. For this to happen, they need to change drastically and quickly because slow change only prolongs the errors being perpetuated. It requires us to give up the idol we have made of the biblical languages and learn them not as the end all of exegesis, but as a part of the sum of the whole. We need to do serious research into the state of the church and change our attitude towards those who are learning in our classrooms. If we do not, we lose an important and even essential aid and resource to the Church. That is unacceptable, change cannot be slow and it needs to be a change that consults the students, not treats us as if we are kids incapable of making decisions. We can start by asking the questions that our students are asking and go from there, if we do not, our decline will continue and we will cease to exist. 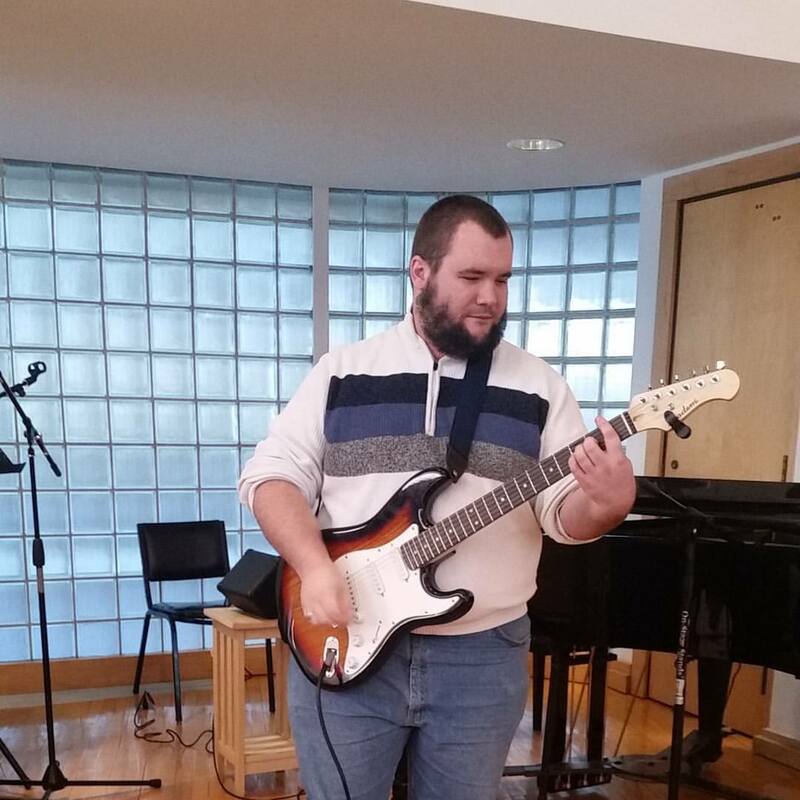 Jonathan D avid Faulkner is a Graduate student at Gordon-Conwell Theological Seminary working on Masters in Divinity and Church History, a Pastor, Musician and Writer. He holds a Bachelor’s Degree in Christian Education & Administration with a concentration in Urban Ministry. He lives with his wife Rachel in the North Shore of Boston and seeks to be a part of the project of reconciliation in the local and international church.